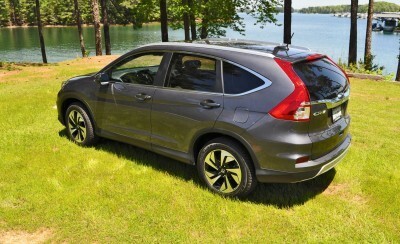 The best-selling Honda CR-V is many things. 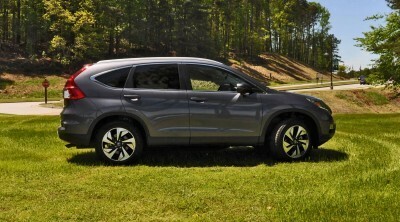 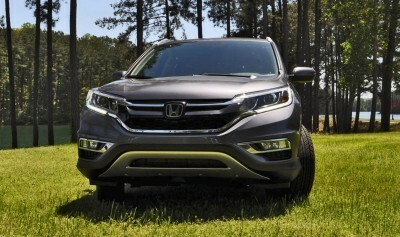 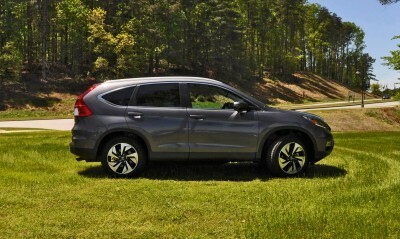 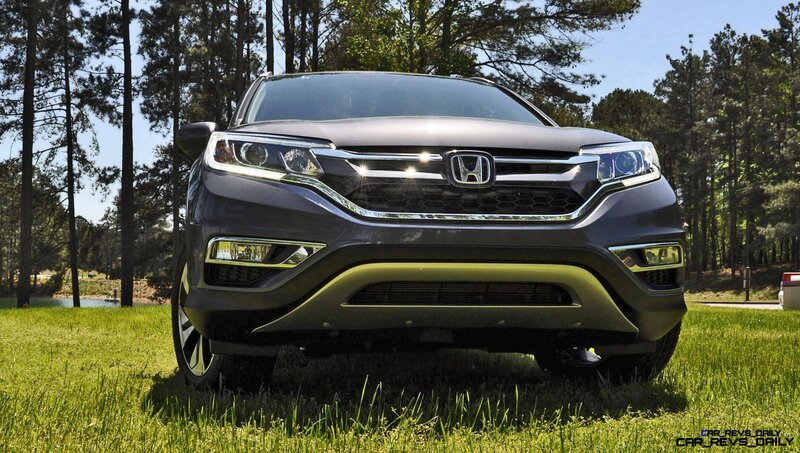 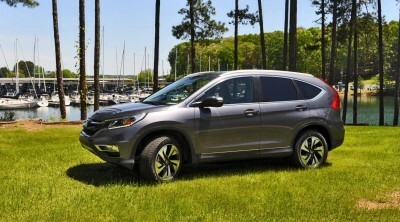 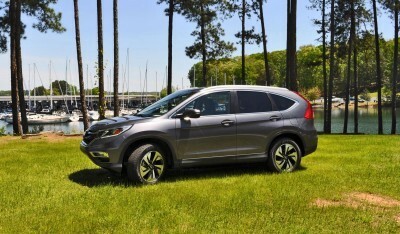 Efficient, roomy, practical and safe are traits all closely linked to Honda’s mid-size SUV. 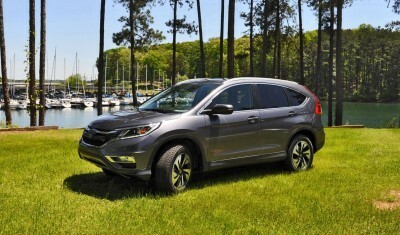 The 2015 CR-V Touring is the best-looking and most premium CR-V Honda has ever made. 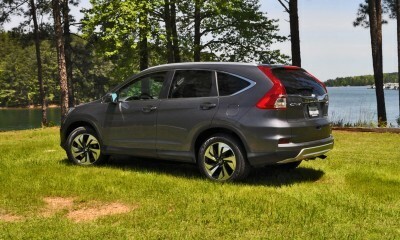 You will see the new CR-V coming from afar. 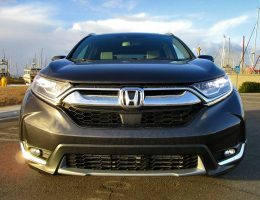 Gorgeous LED lighting up front glows for miles with a ribbon of white light around the headlamp edges, with the lower edge extra bright for LED DRL functionality. 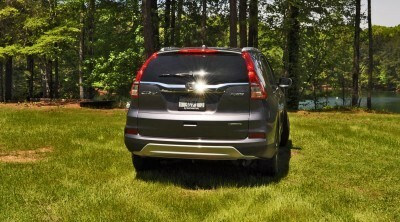 These LEDs are standard for EX, EX-L and Touring trims. 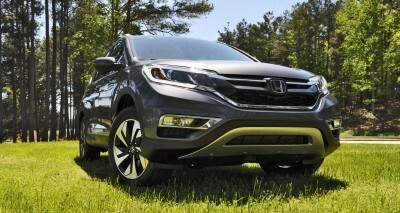 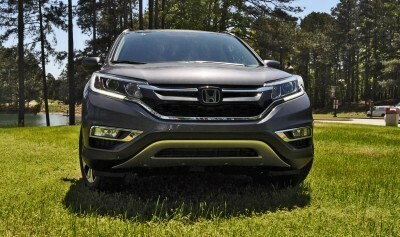 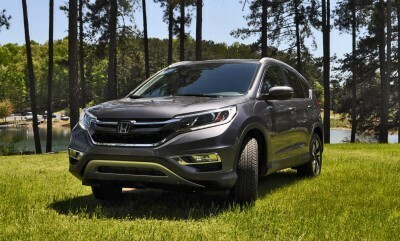 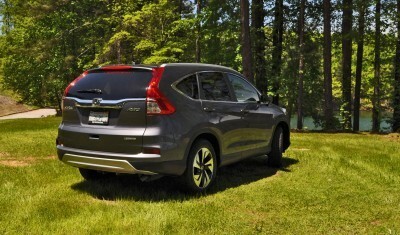 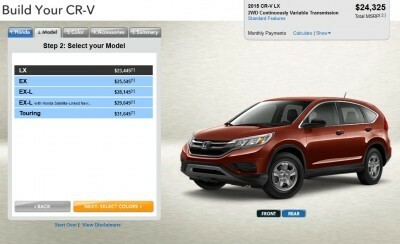 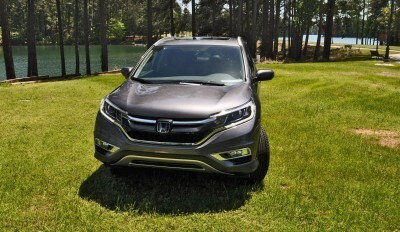 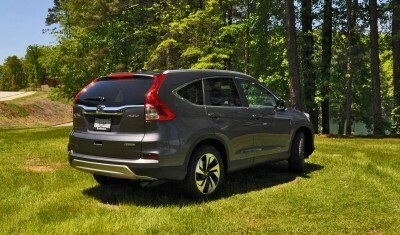 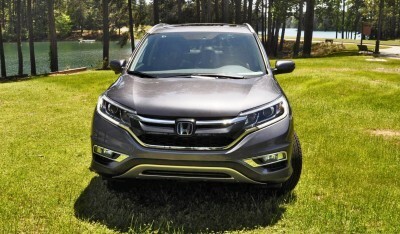 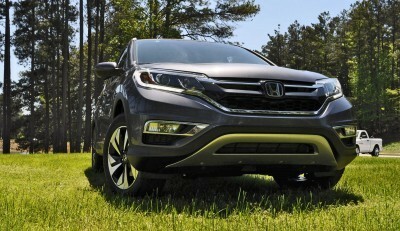 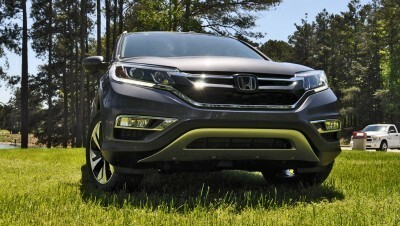 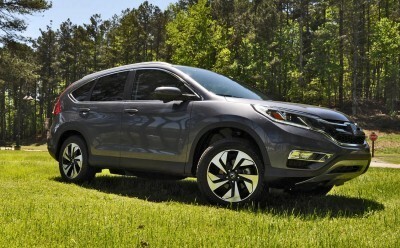 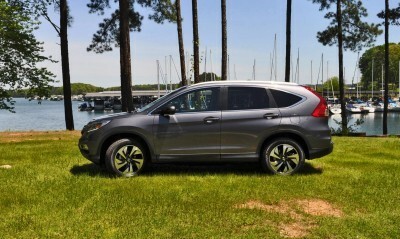 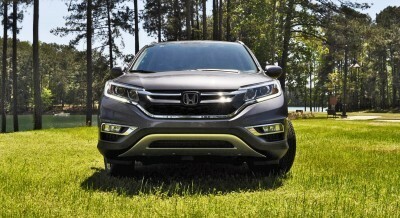 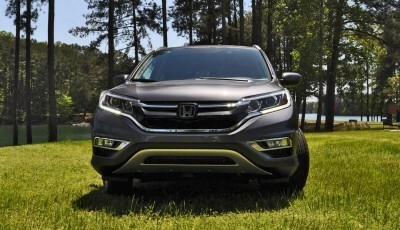 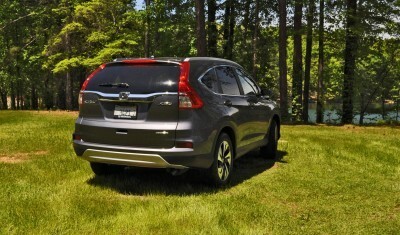 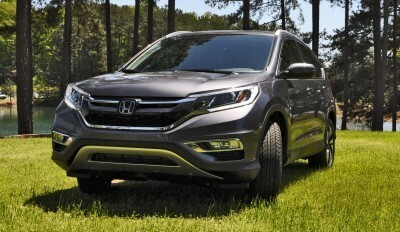 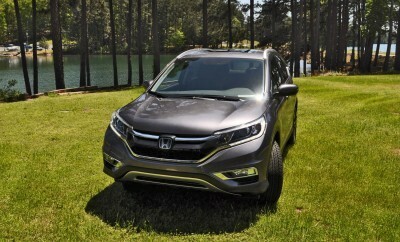 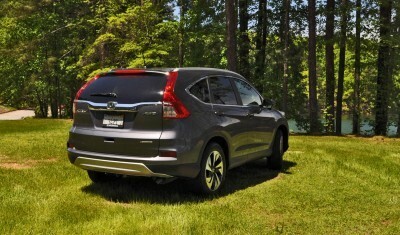 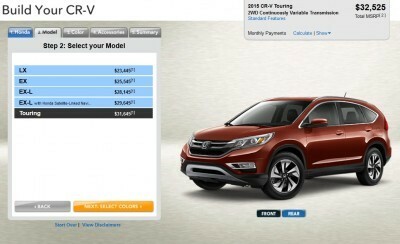 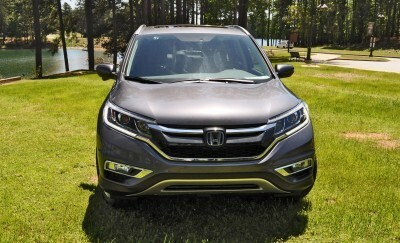 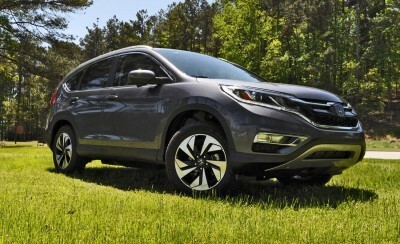 Only the base LX with its $24k price and steel wheels misses out on the new CR-V look. 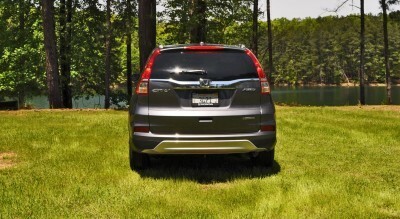 The base LX also lacks the bright front skidplate design accent at the alter of low base pricing. 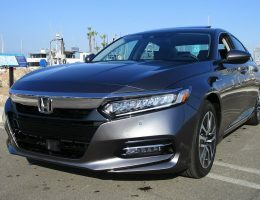 For the Touring alone, machine-polished 18-inch aluminum wheels wear a sharp new look with gloss-black innards are hot and sporty. 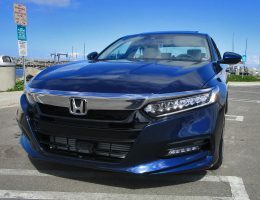 Projector-beam main headlights replace reflectors for the Touring trim, completing its nose upgrade nicely. 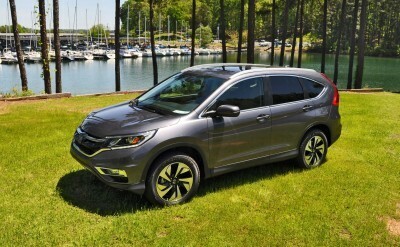 All in: the Touring pack for 2015 definitely delivers a level of coolness that is all-new to the CR-V exterior design. 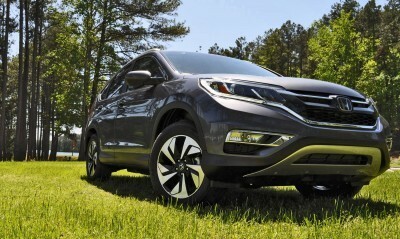 The CR-V is huge inside. 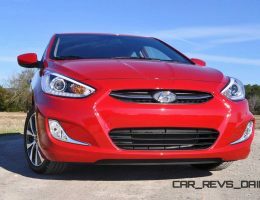 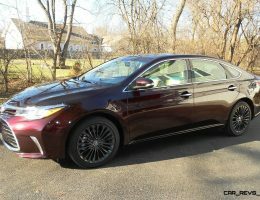 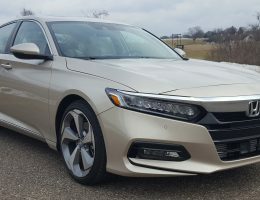 It is extremely capacious from the front seats with a low floor, roomy floating dashboard and center stack, and a free-standing center armrest. 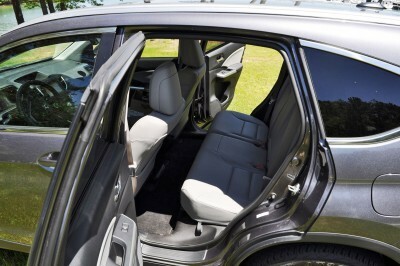 Definitely a relaxing mood inside, enhanced by the Touring moonroof and leather. 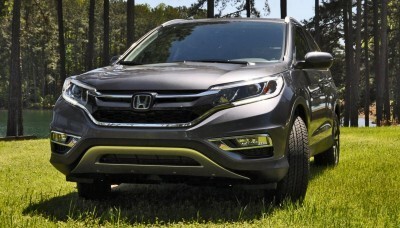 All-new controls for dual-zone climate, navigation and infotainment are a fresh addition for 2015, as is a giant helping of NVH materials to keep the cabin quiet and hushed like never before. 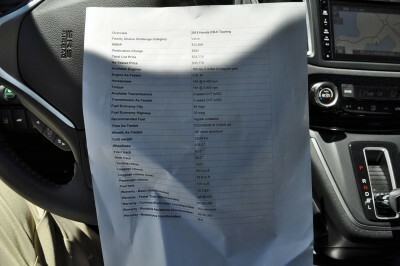 We found a bit more highway rumble than expected, but it’s not a dealbreaker. 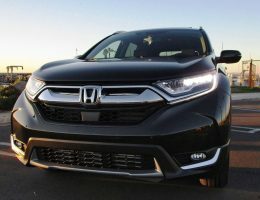 In back, similar levels of space make the CR-V feel much larger than the Ford Escape, Toyota RAV4 or the much-loved Mazda CX-5. 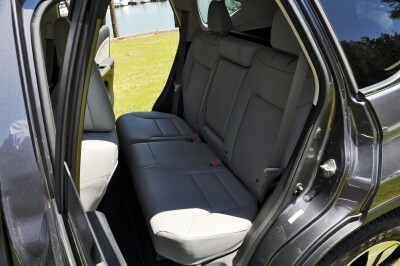 The trick back seat still tumbles or flips its bace upward acrobaatically, while the trunk has an extremely deep cargo well to fit a huge 35.4-cubic-feet of stuff in back with the seats up. 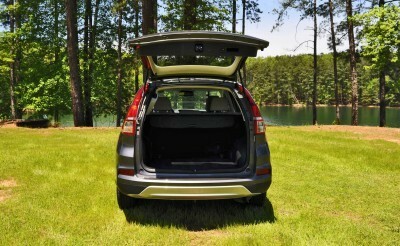 With them folded, max room doubles to over 70 cubic-feet — which is seriously impressive. 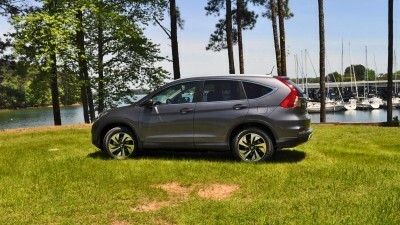 The space and flexibiliy of the cabin makes the CR-V feel a size above its direct competitors — which is a huge selling point. 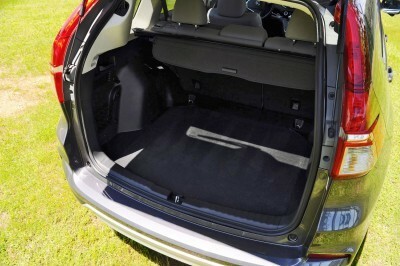 What family does not want more space for stuff!? 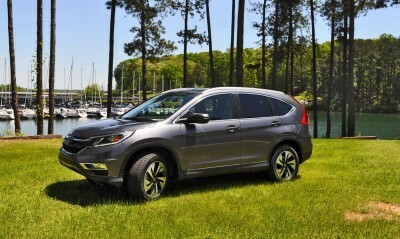 The CR-V stars as an ultra efficient way to have high ground clearance, a big cabin and available AWD. 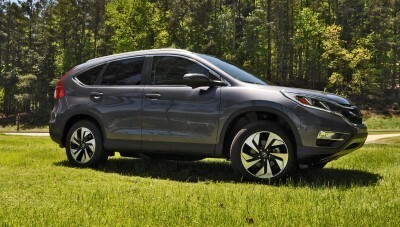 EPA stats of 27-mpg city/34-mph highway only drop one click each for the AWD models. 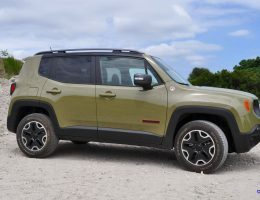 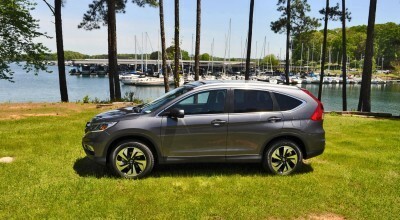 All CR-Vs have more oomph this year thanks to an 11-percent bump in torque for the 2.5-liter four-cylinder engine, but it takes driving with the gear-lever in “S” sport mode to make the urge noticeable. 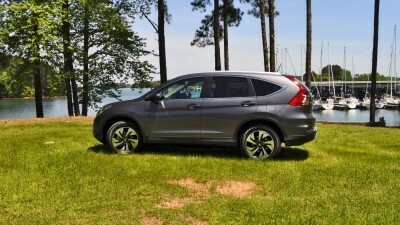 Overall, the CR-V feels good at the helm, however. 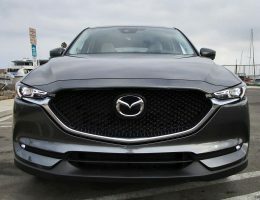 A new adaptive electronic power steering is smooth and precise, and even offers good road feel for the conditions under the front tires. 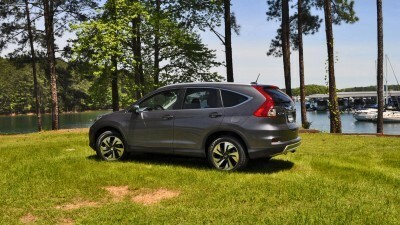 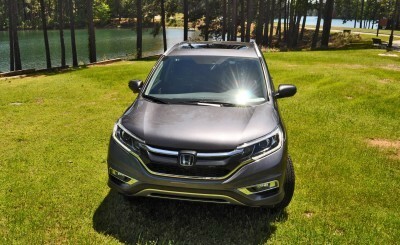 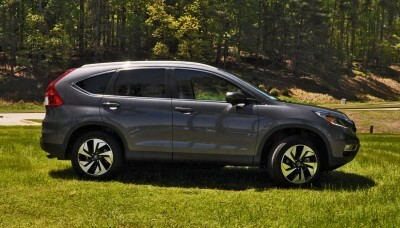 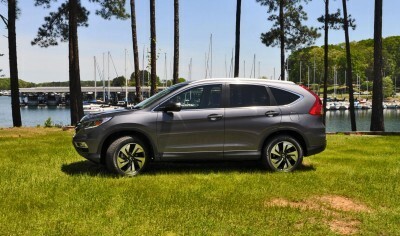 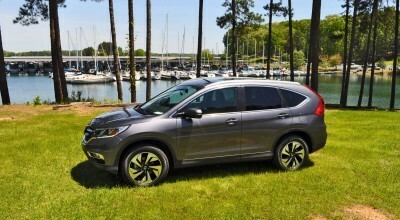 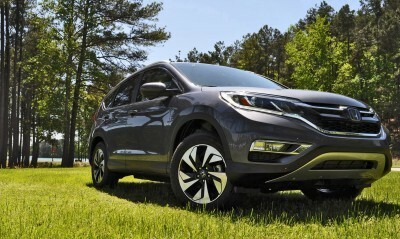 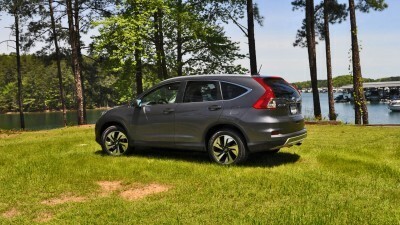 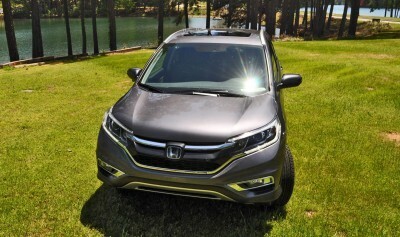 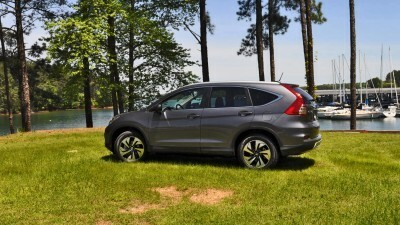 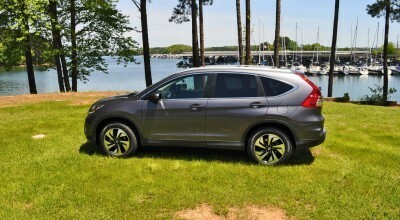 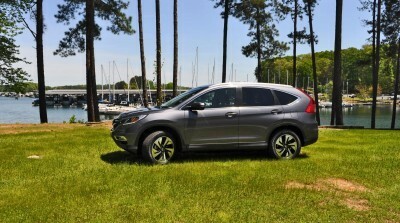 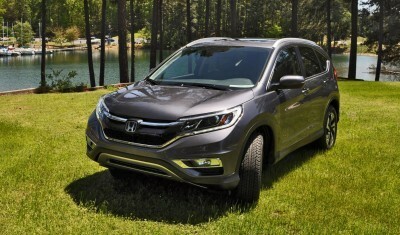 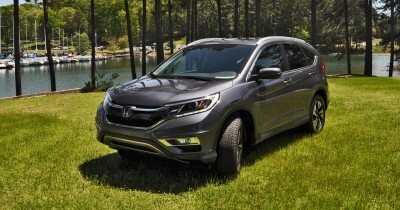 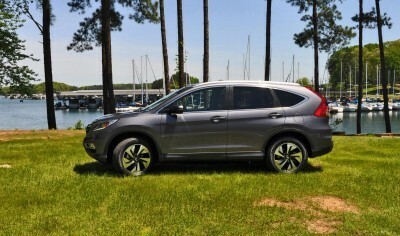 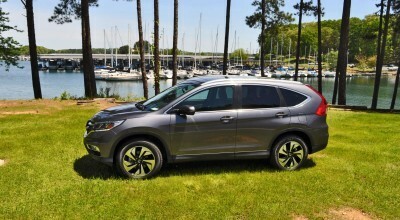 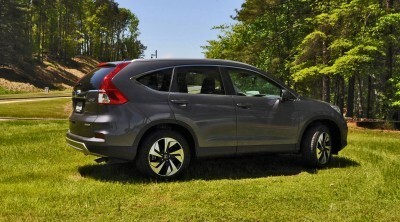 In sunny Atlanta summertime, we could not test the AWD system’s responsiveness to a loss of traction — which is an area that the CR-V loses points to crossovers with a lock-able configuration. 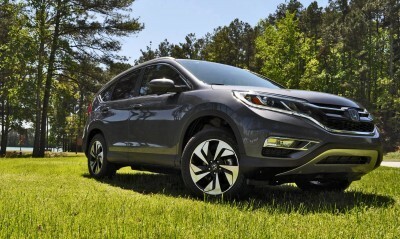 But even as it is, the completely automatic and seamless AWD of the CR-V is capable enough for 98-percent of family driving. 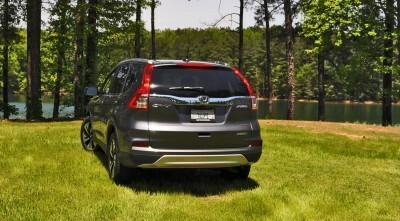 Standard with nearly everything, the CR-V Touring AWD is priced from $33,775 including its destination charge. 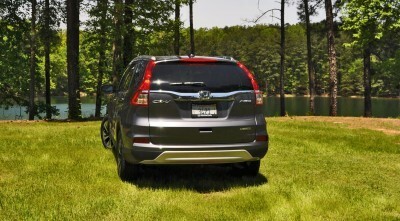 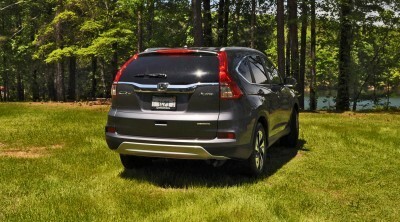 When you know the CR-V and live with it year-round, it becomes a trusted friend and even family member. 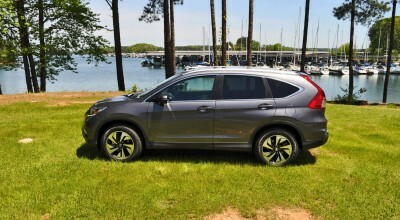 The CR-V was a pioneer in delivering small-car gas bills to families who also want a massive cabin and cross-country cargo room. 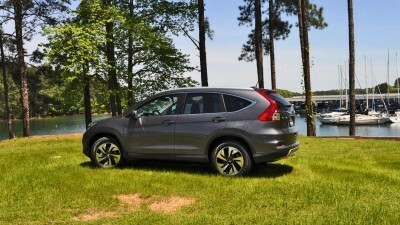 The 2015 CR-V Touring makes it simpler than ever to get all the latest active safety and infotainment tech without checking a bunch of option boxes. 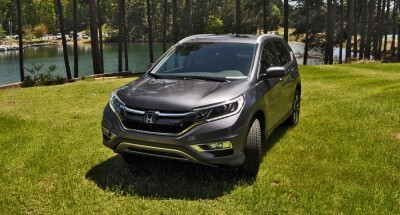 Just think of the Touring upgrade with projector-beam lights and blade alloys is your reward for choosing such a practical and useful crossover!